Many (seriously many) years ago, when I was about 18, my first ever experience of higher end, non-drugstore makeup, was at a Benefit counter when I was on holiday in Colchester. After having a makeover and being completely wowed by the products, I made quite a large order. One of my long-time favourite purchases that day very, was the original Boi-ing Concealer. 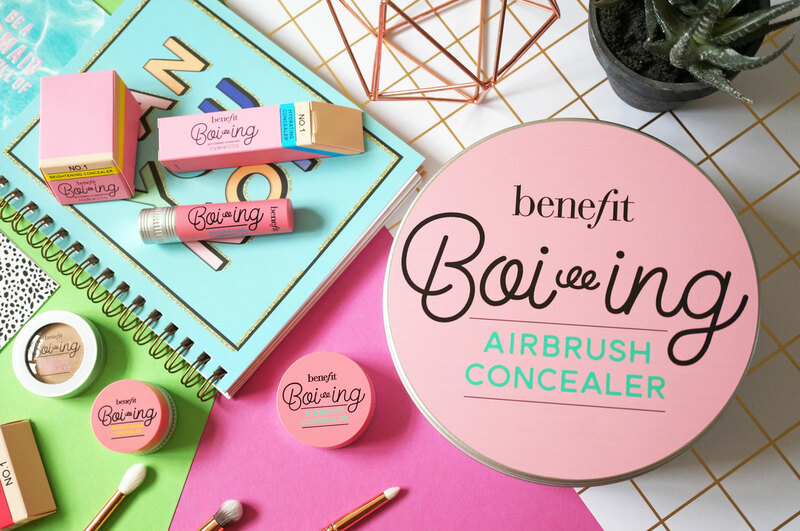 Benefit have since added a few more products to the Boi-ing range of concealers, including the Boi-ing Hydrating Concealer, and the Boi-ing Brightening Concealer. Today though, the new Boi-ing Airbrush Concealer is what I’m trying out. 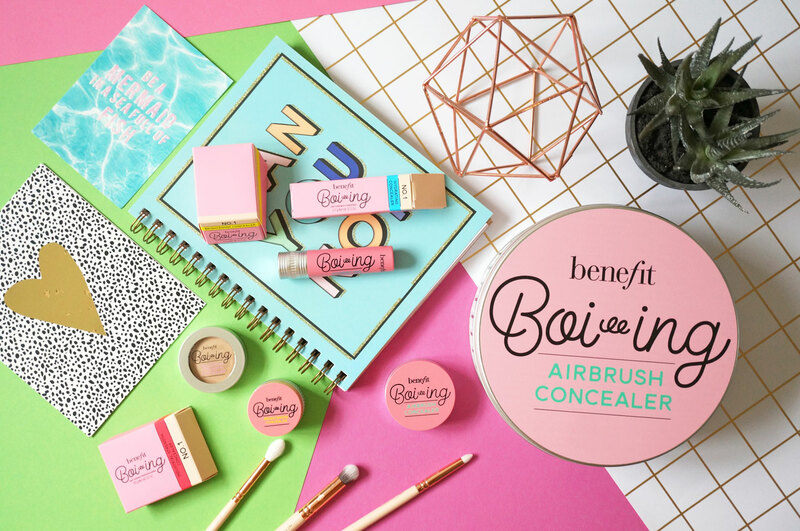 Benefit promises their new Boi-ing Airbrush Concealer will cover imperfections with a flawless finish that’s ‘virtually undetectable’. 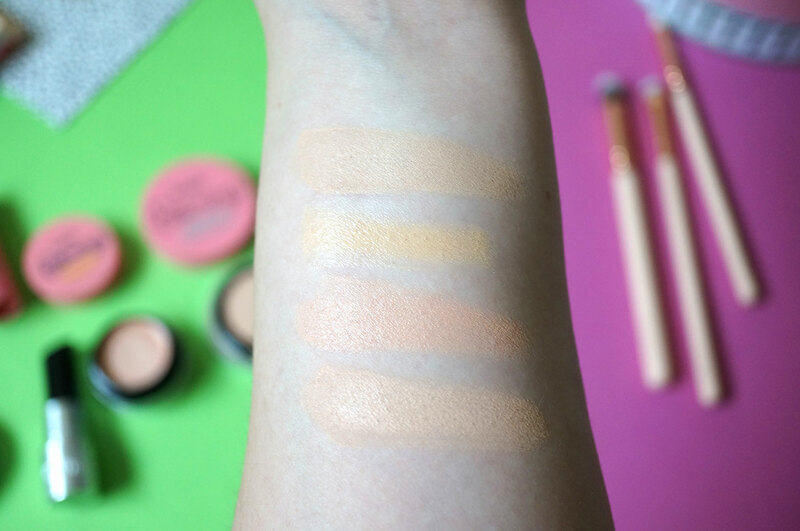 The formula is designed to give a soft-focus, sheer-to-medium coverage finish, whilst feeling lightweight and staying waterproof for up to 10 hours. It all sounds pretty good right? Ok so the new Boi-ing Airbrush concealer has an expected slightly lighter formula than the original, hence the airbrush name. It also promises to help conceal unevenness, fine lines and undereye circles – which is exactly what I need right now. Well I’ve tried the Boi-ing Airbrush Concealer a few times now, and I think it’s perfect for those that enjoy the original Boi-ing concealer, but find it a bit too heavy or full coverage for them. As a fan of the original Boi-ing Concealer which I’ve used for many years, I know that what works well for you when you’re 18, isn’t necessarily going to work the same when you’re in your 30’s. Now I’m starting to get fine lines under and around my eyes, I have to be that much more careful when it comes to concealer, as creasing is a REAL problem. The Boi-ing Airbrush Concealer does a great job of covering my dark circles and fine lines, without looking cakey and mask-like. You can see all the concealers are priced the same at £17.50 each, and even though they all have the same shade name ’01’ the shades definitely vary slightly. The weight of product is different too for each one, so it’s worth bearing this in mind when purchasing. Original Boi-ing Industrial Strength Concealer – full coverage, heaviest texture. Boi-ing Hydrating Concealer – sheer coverage, lightweight feel. 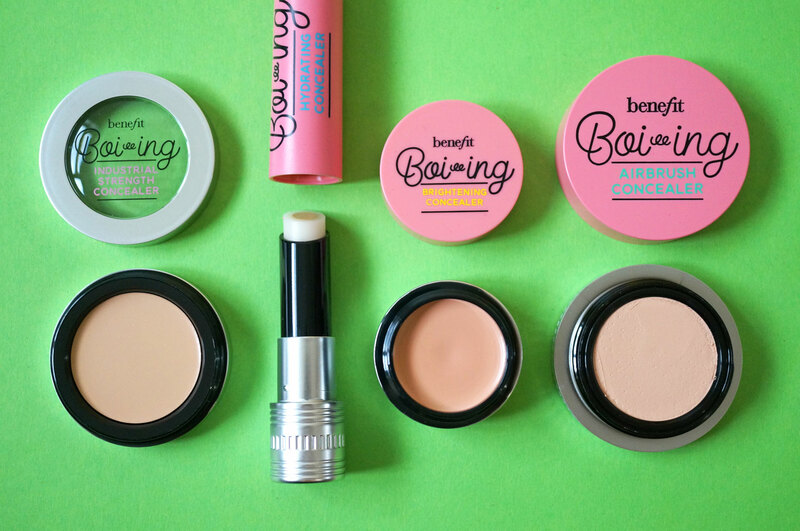 Boi-ing Brightening Concealer – full coverage plus colour correcting. Boi-ing Airbrush Concealer – sheer to medium coverage. 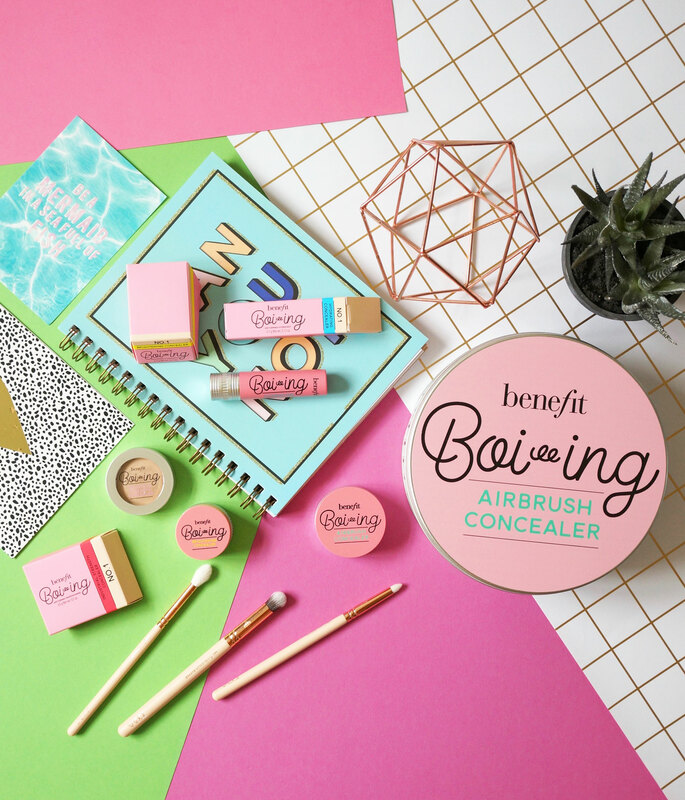 Benefit Boi-ing Airbrush Concealer is available now at Benefit Cosmetics, Debenhams and Look Fantastic. Previous Post Beauty News: Sephora X Moschino Golden Teddy Collection!